Game of Thrones Drinking Game: Will kill as many people as George R. R. Martin has....because that is the only way to tolerate it. Hilarious and Emotional at the same time. Only Game Of Thrones Fans Will Understand. Game of Thrones Drinking Game: Will kill as many people as George R. R. Martin has….because that is the only way to tolerate it. Hilarious and Emotional at the same time. Only Game Of Thrones Fans Will Understand. 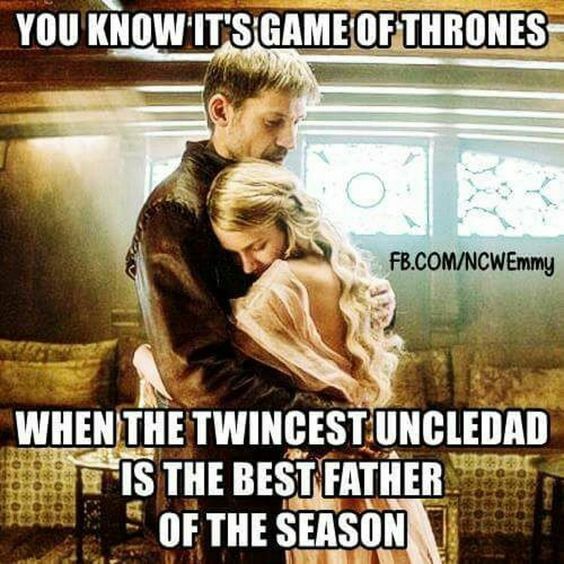 Myrcella was so lucky at that moment. 2. Who is the Good guy again? In Game of Thrones, stuff is so messed up that even the supposed good guys wind up doing some pretty despicable stuff.